Support a local cause that affects thousands of Dripping Springs students each year! 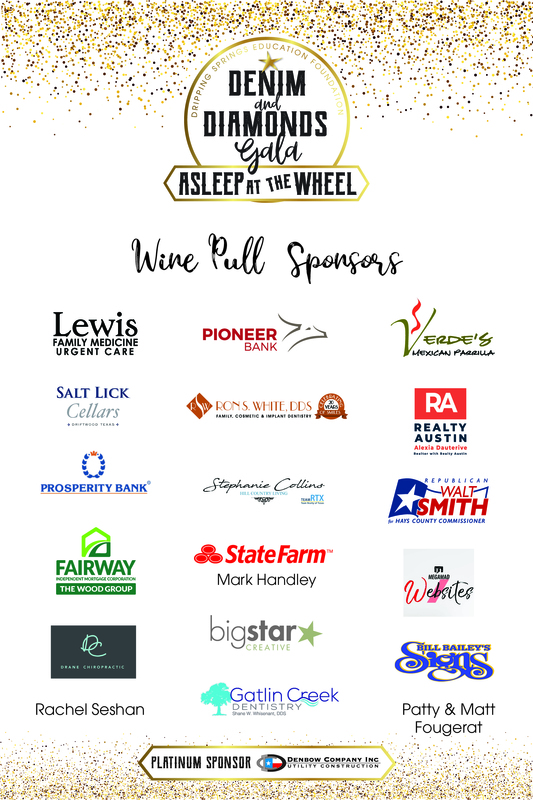 Dripping Springs Education Foundation’s 2019 Denim & Diamonds Gala took place on April 5th Asleep at the Wheel was our amazing entertainment. 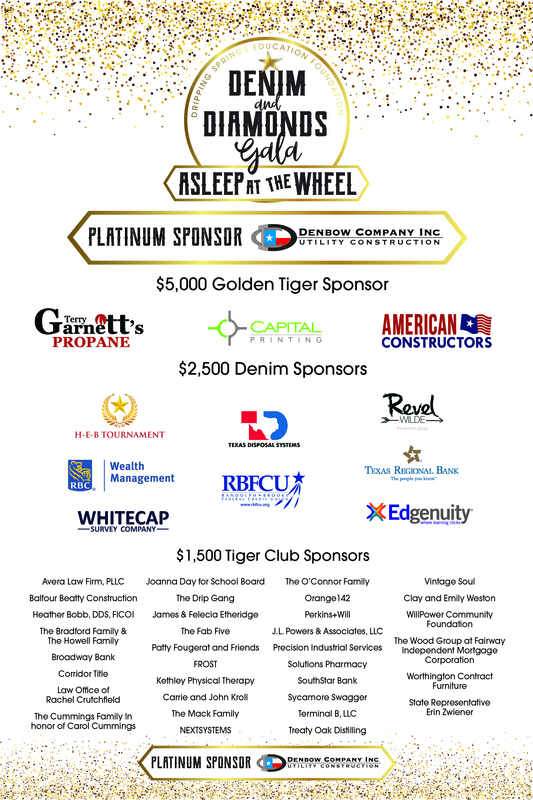 The Denim & Diamonds Gala has become a staple event in the Dripping Springs community with approximately 700 attendees each year. This event also serves as the main catalyst for funding Innovative Teaching and Student Leadership grants throughout DSISD. The Denim & Diamonds Gala is always an incredible event with incredible impact and we would be honored if you would join us once again. Contact loumandy@dseducationfoundation.org with additional questions.